HCAP Partners is mentioned in a commentary published in Fortune Magazine identifying investment strategies that can help American workers and shareholders. HCAP Partners is included on Grady Campbell's 2018 Top 50 Middle Market Private Equity Firms list recognizing solid performance, innovation, successful track record, leadership, and results. HCAP Partners was featured in PCV’s latest Impact Investing newsletter addressing quality job trends. Northwest Area Foundation features HCAP Partners’ Gainful Jobs Approach™ and the 2017 Annual Impact Report. 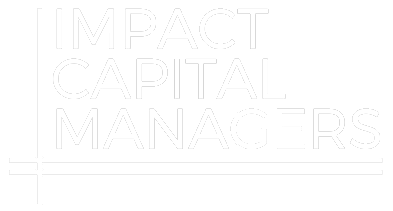 April 2, 2018 – A new network of Impact Capital Managers will kickoff at a two-day meeting in Chicago next month. HCAP Partners is among the founding fund managers. July 20, 2016: Article profiling HCAP Partners' portfolio company, Cubex, and its CEO, Anton Visser. Cubex, which provides automated medication and supply management for veterinary, dental and health-care industries, reports 40 percent annual growth and more than 2,000 U.S. clients plus more in Australia, Canada, the United Kingdom and the Caribbean. June 2, 2016: The Canadian company Rouge Media Group has announced the acquisition of the largest U.S. College digital out-of-home advertising network – On Campus Media – for all of its digital video, online and mobile assets. The fall 2015 issue of Cascade features HCAP Partners as one of three investors profiled for their activities surrounding impact investing and their “intentionality” of creating good jobs. Interview with Tim Bubnack, Managing Partner HCAP Partners, profiling the firm's focus on maximizing their investors’ return on investment without compromising their core values. May 22, 2015: Article published in the Guardian featuring Huntington Capital's focus not only on investing in companies that create jobs, but rather investing in companies that offer good jobs – with health care benefits and growth opportunities – in underserved communities. March 23, 2015 - San Diego Business Journal article on Huntington's announcement of the close of Fund III. March 20, 2015 - This article shares how Pi Investments collaborated with Huntington Capital to enhance its impact management through a recent commitment made in conjunction with the successful close of Huntington’s third fund. Aug 21, 2013: Modest investments made by the Silver State Opportunity Fund LLC over the past six months are starting to pay dividends, executives with the fund’s manager, Hamilton Lane, said Wednesday. June 6, 2013: The Silver State Opportunities Fund LLC has committed $5 million to Huntington Capital Fund III, a mezzanine fund providing debt and equity financing for small and mid-sized businesses, Nevada Treasurer Kate Marshall said Thursday.